Dwarf. One of the very best, if not the best tasting of all dwarfs. Plants grow two to three feet tall and are brilliant chartreuse! 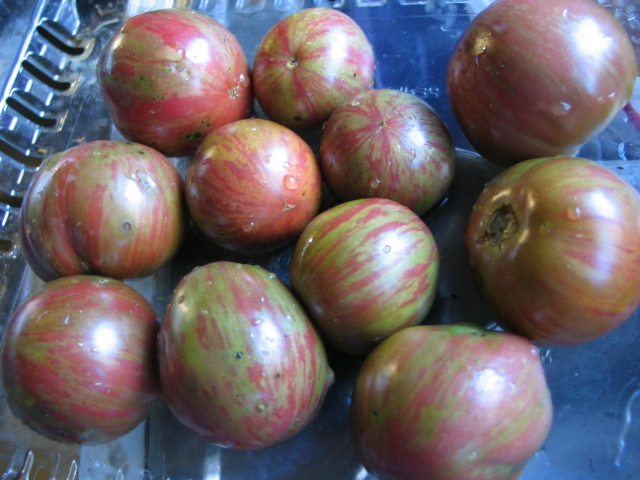 Fruits are large saladettes, purple with yellow and green stripes. Dwarf. One of the very best, if not the best tasting of all dwarfs. Plants grow two to three feet tall and are brilliant chartreuse! Fruits are large saladettes, purple with yellow and green stripes. Will last all season long. You are going to love this one!